Pine marten, photographed in western Scotland. 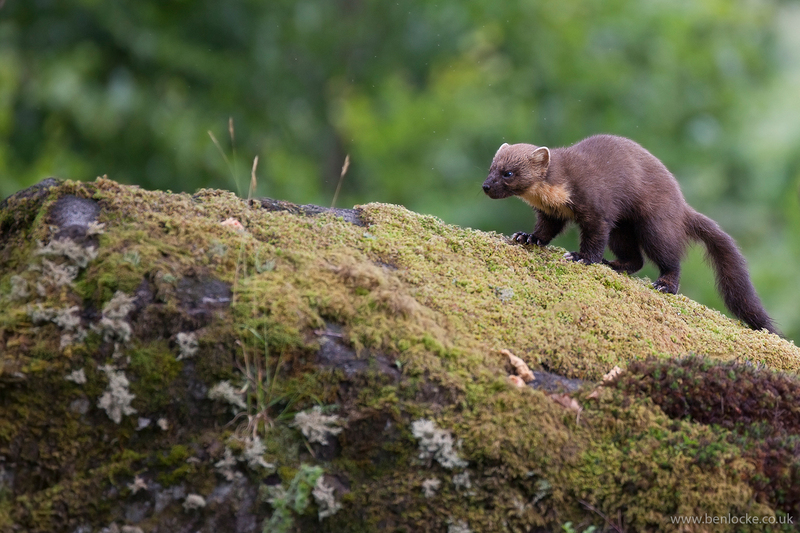 Until the 19th Century, pine martens were found throughout much of mainland Britain, the Isle of Wight and some of the Scottish islands. Habitat fragmentation, persecution by gamekeepers and martens being killed for their fur, drastically reduced this distribution. By 1926, the main pine marten population in Britain was restricted to a small area of north-west Scotland, with small numbers in N Wales and the Lake District. They have now increased their range in Scotland, and now occur throughout the Highlands, N of the Central Belt but remains one of the rarest native mammals in Great Britain, with a total population of around 3-4,000, but Ireland probably also has as many.